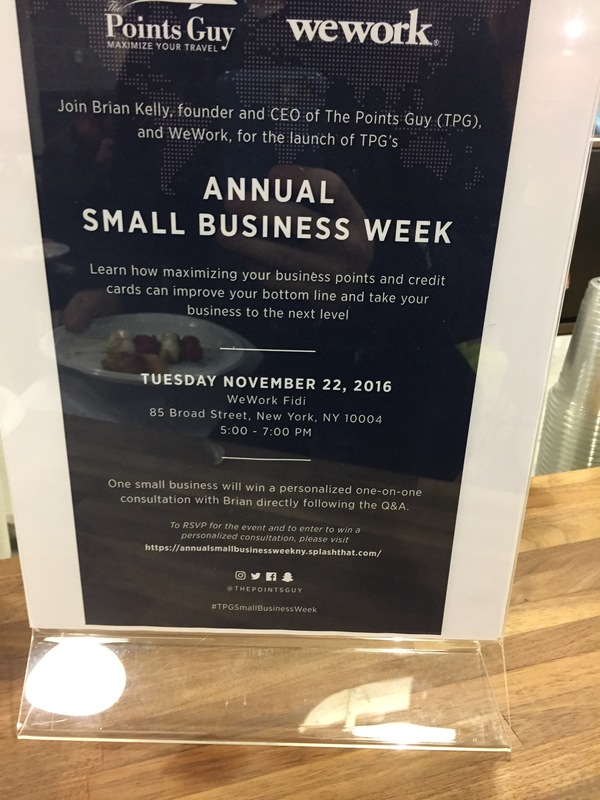 A few weeks ago I received notice that Brian Kelly – also known as The Points Guy (or TPG for short) – was hosting a small gathering at the WeWork facility in the Financial District in order to share points and miles tips and answer questions by local business people. Since I have recently started consulting with friends/acquaintances on how to maximize their use of points (or gather some on their own) I signed up to attend. Boy, was it fun! 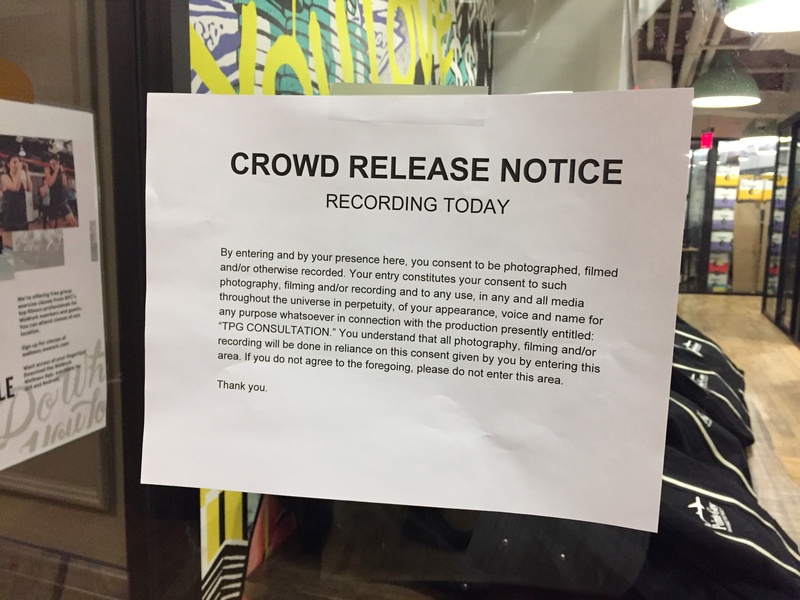 When I entered I was greeted by a sign informing me of consent to be filmed and photographed as well as by some small appetizers to satiate me for a small while. The WeWork common space was fairly large and their kitchen had lots of snacks for sale (and beer on tap!). 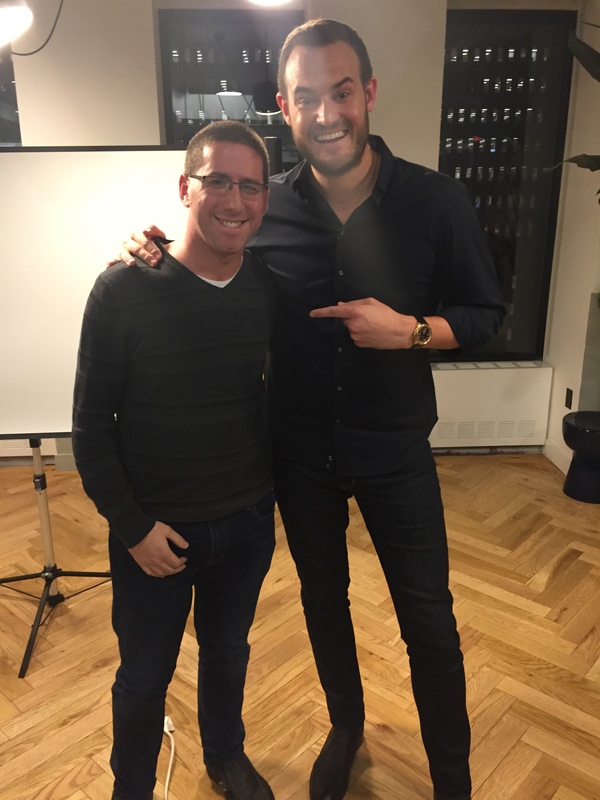 TPG got started with a 20-minute presentation covering topics I pretty much already knew – how to maximize credit card bonuses; which cards to hold onto and which to get rid of; what options there are for earning miles outside of flying or simple swiping of the card; etc. The new piece of information I learned was EVRewards, a website devoted to sharing with you how to maximize your points-earning based on what store you are buying from. It’s a cool site that I will add to the list I go through before making a purchase. After that he started taking numerous questions. He probably did this for about 45 minutes. I was lucky enough to be called on and made a quip about being a math teacher so I appreciated when he said “do the math” as he often does for his monthly valuations of points. I became known as “the teacher” and even had a brief conversation with his Chief Operations Officer. There may be some relationship brewing there that becomes fruitful and interesting in the future. Finally, before I left I got a chance to get a photo with someone I’ve been trying to meet for almost a year now. I’m so grateful for the opportunity and can’t wait to get more involved! 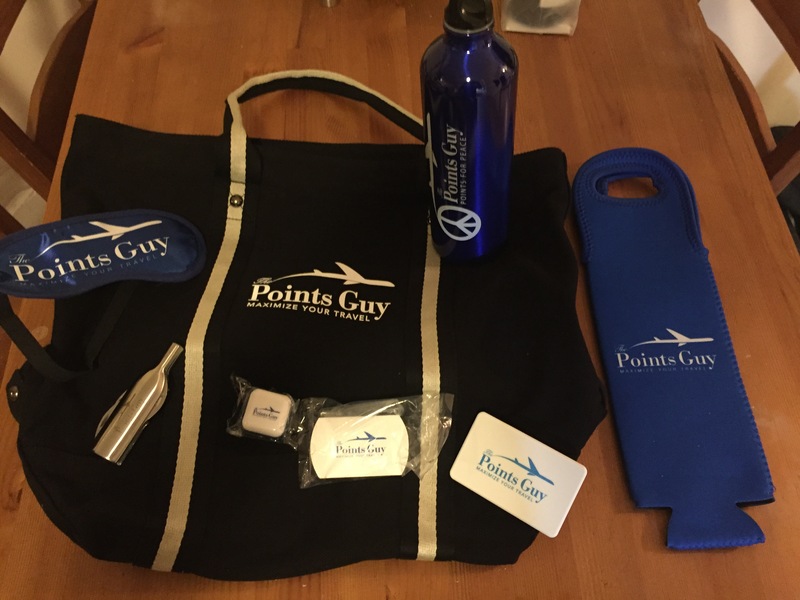 Oh, and we got an awesome swag bag, too! ← What’s in my wallet?